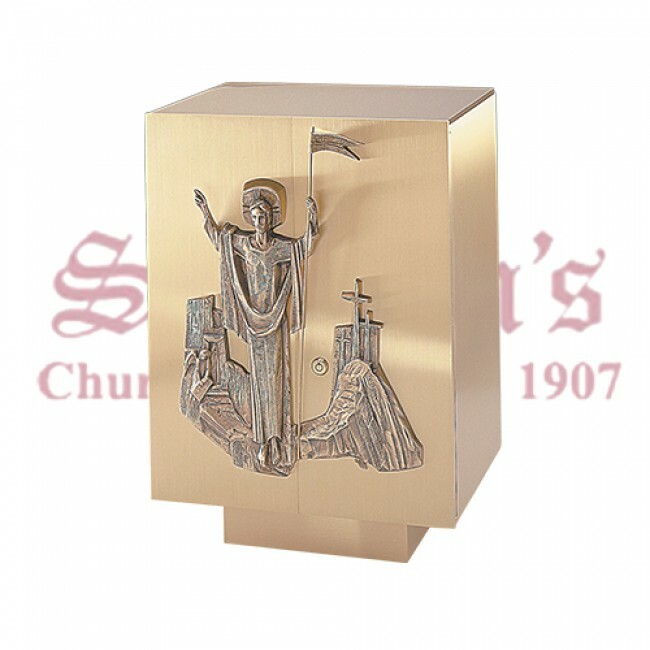 A tabernacle is a special type of receptacle or case that holds the Blessed Sacrament. It is usually set upon the table of the high altar or of another altar and should be designed in a way to match the decor of the church. The satin bronze finish Tabernacle with Risen Christ features an applied cast bronze bas relief of statuary bronze finish of the Risen Christ. The tabernacle has double independent pivot action doors and a built-in vault lock. The interior is lined with white silk and aromatic cedar.